This was such a wonderful time to be on Warner Bros. Great people there and a chance to make music with a strong backing force. All that played a part here, worked out of love for each other and a deep respect for Contemporary Jazz. George Duke received a Grammy® nomination for “The Look Of Love”, as “Best Arrangement with a Vocal”. I was very proud of that moment and I was evolving as a Jazz artist. 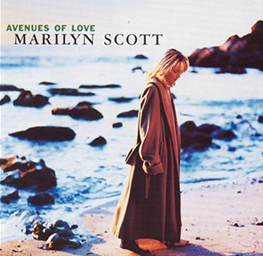 A top-notch adult contemporary vocalist still awaiting a well-deserved crossover commercial breakthrough, Marilyn Scott adds powerful fuel to her cause on Avenues of Love by helping herself with a well-balanced array of production and songwriting talent. George Duke surrounds her with party voices and a kneejerking Latin groove on a playful list of dance steps on “I Like to Dance,” then surrounds her clear, sensuous voice with airy, billowing synth cushioning on the Bacharach-David classic “The Look of Love.” Scott and bassist Jimmy Haslip reroute to Memphis on Michael Ruff‘sWilson Pickett-like pick me up, “Love Is a Powerful Thing,” engaging a two-piece horn section that sounds even larger. 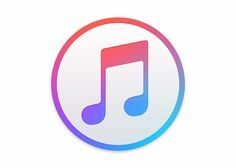 The Yellowjacket touch is in full effect on the picturesque “Avenida del Sol,” which approximates an update of the gentle Astrud Gilberto sound; the tune was written by Scott and Bob Mintzer, and produced by Scott, Haslip, and Russell Ferrante. Scott‘s greatest gift here is her sense of modulation; she belts like crazy on the funk pieces, but recognizes the emotional power of restraint on the ballads.